Speakers' Name: C.L. Liu Ph.D.
Company name: DRAMeXchange Tech. Inc.
Dr. C. L. Liu received his Sc.D. degree (1962) at the Massachusetts Institute of Technology. He was on the faculty of the Massachusetts Institute of Technology (1962-72) and the University of Illinois at Urbana-Champaign (1972-98), and served as President and Professor of Computer Science at the National Tsing Hua University in Hsinchu, Taiwan from 1998 to 2002. In addition, he serves as Board member and consultant at a number of high tech companies in Taiwan, and is active in educational as well as charitable services on a worldwide basis. 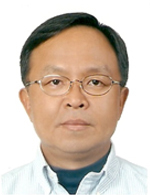 His expertise is in the semiconductor area, particularly in the design and manufacturing aspects. He is a member of Academia Sinica, a Fellow of the Institute of Electrical and Electronics Engineers, and a Fellow of the Association for Computing Machinery. 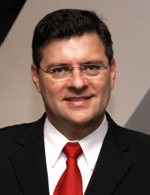 Antonio (Toni) Mesquida Küsters joined ASML on February 1st, 2006 as Director of Market Intelligence. In his current role, he is responsible for running the market analysis activities of the company as well as for the translation of market intelligence into management directions and priorities. 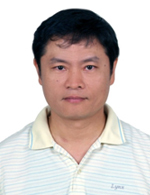 Prior to joining ASML, and since 2002, he worked for AIXTRON AG, the WW leader in MOCVD equipment for compound semiconductor deposition, as Head of Corporate Strategy. In that position he initiated a company-wide re-structuring and the acquisition of Genus Inc. at Nasdaq. Between 1995 and 2001 he held various management positions at Siemens AG (later Infineon Technologies AG) in Munich (Germany) in the areas of IC development, technology transfer, product marketing and corporate venturing. As one of the founding members of Infineon Ventures, he served on the supervisory board of various high-tech start-ups around the world. Dr. Mesquida Küsters has earned a “Diplom-Ingenieur” degree in Electrical Engineering (area of telecommunications, 1990) as well as a “Doktor-Ingenieur”-degree in Semiconductor Science (1994), both from the RWTH Aachen in Germany. He has both Spanish and German nationalities. Company name: Powerchip Semiconductor Corp.
Dr. Wang is the president of Powerchip Semiconductor Corporation (PSC) in Hsinchu, Taiwan. Prior to joining PSC in 2005, he was the General Manager of Memory Group at Winbond Electronics in Hsinchu. 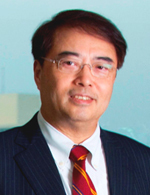 Dr. Wang has 26 years experience in the semiconductor industry encompassing technology and product development, and business and corporate management. He had start-up experience as CEO and president of Programmable Microelectronics Corp. in San Jose, California, specializing in non-volatile memory. Dr. Wang received B.S. in Physics at National Taiwan University, and Ph.D. in Physics at University of Illinois at Urbana-Champaign. Company name: Zentel Electronics Corp.
Joe Chen is General Manager of Zentel Electronics Corp., a fabless company designing and marketing DRAM of various configurations for consumer, communication and computer peripheral applications. Joe Chen has over 25 years of experience in the electronics industry. He started as a computer system engineer working on system architecture and operating system design and implementation. He then became involved and held management positions in the marketing of logic controllers and specialty DRAM. 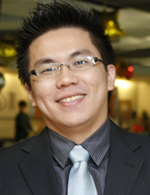 Joe Chen joined Zentel in 2006 and was appointed the general manager in the same year. With his participation, Zentel successfully gets listed in Taiwan OTC stock exchange in 4th quarter of 2008. 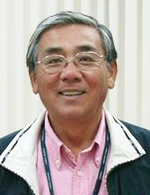 Joe Chen received his BS and MS degrees from National Taiwan University Electrical Engineering Department in 1982 and 1984, repectively. Joyce Yang is the V.P. of Memory Industry Research Division. At DRAMeXchange, she leads a team of extremely qualified, seasoned professionals. 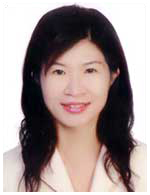 In addition, she also oversees the production of in-depth, fair-and-balance analyses, evaluation, and forecast of the DRAM sector for domestic and global investors and industry professionals. Joyce Yang received her M.S. Finance degree from Texas A&M University. She had worked as a DRAM product manager handling DRAM pricing forecast and procurement for three years in a top module house in San Jose, Calif. She started at DRAMeXchange since Sept. 2003 and has been providing DRAM-related research analyses and market predictions for past 5 years. 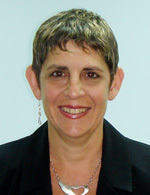 Doreet Oren is Director of Product Marketing for SanDisk SSD products. Oren is in charge of Outbound Marketing and the official SSD spokesperson for SanDisk. She is responsible for delivering new product announcements and communicating SanDisk vision to the media. Oren often lectures and gives training to both external and internal audience at a variety of conferences. Oren has over 20 years of industry experience, and has held management positions in R&D, product management and marketing for international high-tech companies. Oren has published articles in international journals, including Component Times, New Electronics and Embedded Computing. She has spoken at industry conferences such as Flash Memory Summit in Santa Clara, DRAMeXchange in Taiwan and Shenzen, and in the Semiconductor Memory Symposium and IDEMA in Japan. Oren received a BSc in Computer Science from George Washington University. 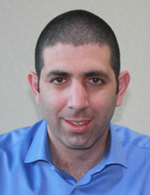 Yoav Kasorla is a program manager in Anobit Technologies. Located in Seoul, Korea, Mr. Kasorla is managing Anobit programs with strategic partners. An expert in signal processing, Yoav has over 10 years of experience in research and development of embedded signal processing and system solutions in the areas of NAND Flash and wireless communications, and holds multiple patents in these fields. He received a B.Sc. from Ben-Gurion University in Israel. Company name: JMicron Technology Corp.
4. 2000 ~ 2003 : Overseas business director, Faraday Technology Corp.
5. 2003 ~ now : E.V.P. & C.O.O, JMicron Technology Corp.
Ukyo Jeong is a VP of Sales at ADATA where he is engaged in sales of DRAM and Flash memory products to worldwide customers. He joined ADATA in March 2010. He studied physics at Sogang university in Korea. He started his career in semidoncutor industry in 1990 as device design and process integration engineer at Samsung semiconductor R&D. He worked at Samsung R&D and Marketing, Varian Semiconductor Equipment, EMLSI and Spansion before he joined ADATA. Company name: Powertech Technology Inc. Prior to PTI, Takao Iwata worked for Toshiba. He has over 20 years of experience in IC circuit design and wafer process development for consumer products in the Logic IC field. 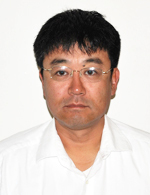 He was also in charge of setting up NAND Flash production in Yokkaichi factory. 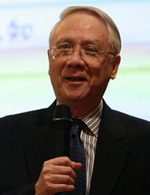 In 2000, he served at Toshiba Memory Taiwan Company as President. Joining PTI in 2003, he set up NAND Flash PKG and in 2004; he started the development of Elpida DRAM products. Up to now PTI has recorded extremely high revenue growth and been developing new PKG and technology. PTI has maintained its reputation as the No.1 memory backend company in OSAT for worldwide memory customers. Takao placed his priority on developing System in Package utilizing memory technology, logic technology and Jisso Technology. Sean is currently the PC analyst in DRAMeXchange. His coverage is involved in PC-OEMs and ODMs as well as the product development. Sean graduated with MBA in University of California, Riverside in 2007. He worked in international IC design firm at Hsing-Chu Science Park as the investor relationship administrator and finance department before DRAMeXchange.